As a follow up to my post of last week (Anti-Choice Teachers Unions Want to Take Control of O.C. Board of Education), former State Senator Gloria Romero has penned another excellent op-ed piece in the O.C. Register. In Celebrating National Charter Schools Week Senator Romero not only noted that this week is a time to celebrate the tremendous success of public charter schools but the continued voracious opposition to public charter schools by unions and the local Boards of Trustees the unions pay to elect. Yet despite public charter school successes unions and school boards fight parent’s desire to start and continue great public charter schools. No example of this is the fight by the parents of children at Palm Lane Elementary School, a currently traditional public school that has been failing for over a decade. The District’s response when the parents attempted to use the Parent Trigger law to convert the school to a public charter school? Sue them in court and spend an estimated million taxpayer dollars to stop the parents’ efforts. In effect spend over a million in taxpayer dollars to keep children in a failing school. Who are these deniers of parents’ rights to a quality education for their children? Trustees Jeff Cole, Ryan A. Ruelas, Bob Gardner, David Robert H.R. Heywood and Jackie Filbeck. (Board of Trustees) And lets not forget their enforcer Superintendent Dr. Linda Wagner. (Superintendent) If liberty, freedom, parents’ rights and quality education (not to mention fiscal responsibility) were grades these trustees and the superintendent needed to earn: they would receive an F grade. And the ongoing battle of the parents of Palm Lane students: the Superior Court judge ruled against the District and in favor of the parents. See Parents and Children Win The Right to State a Public Charter School. District responded with an appeal that is still pending. Who is among those filing legal briefs in support of the school district to deny parental choice and a quality education for their children? You guessed it, the California Teachers Association. I commend Senator Romero’s op-ed to your reading. Much has been made about the content of the robocalls from the Anaheim City School District (ACSD) to Palm Lane Elementary School parents regarding the effort to utilize the Parent Trigger Law (officially the Parent Empowerment Act) to convert Palm Lane into a charter school. Oddly in all the controversy about whether ACSD was informing Palm Lane parents or lobbying Palm Lane parents, no one has provided the full audio nor the full text of any of the robocalls. So for the first time for public consumption since the initial robocall was made, OC Political publishes the first robocall here. From time to time, OC Political leaves it to our readers to read/listen to the original source rather than filtering it through our analysis. This will be one of those cases, so other than noting below the differences between the recording and the original script, we leave it to you, our readers, to listen/read for yourselves what the first robocall from ACSD to Palm Lane parents said. In response to a request from OC Political, ACSD provided a 97-second recording of their robocall to Palm Lane parents on December 9, 2014, when the petition process was heating up but before the petitions were submitted. This is Linda Wagner, Superintendent of the Anaheim City School District. Providing the highest quality education possible for your students is our highest priority. Recently, it has been reported to us that there are people in our community who have been paid by an organization to gather parent signatures for a petition that could completely change the way some of our schools are run. What they may not be telling you is that signing the petition could change our schools in dramatic ways. If they wish to do so, the law allows parents to sign petitions that cause one of several things to happen. The petition could cause your child’s school to become a charter school; it could force the closure of a school; and it could result in a complete change in the faculty and the staff of the school. If you are truly interested in changing your school, including perhaps new teachers and staff, we do not want to discourage you from signing the petition. We would ask, however, that you read what you are signing and be careful about allowing aggressive petition gatherers to pressure you in to signing a document without all of the facts. We have not and will not advocate on either side of this issue. While we do not control communications from either side on this issue, we remain committed to offering a clear and fact-based presentation of all information to our parents, so that you can make the very best decision for your child. We are proud of the well-rounded education we provide our students. Our programs integrating technology, engineering, robotics, mathematics and critical thinking are preparing our students for college and careers. We are happy to answer any questions you may have. Please feel free to call us anytime at (714) 517-7510. While any script will vary from the way a call is actually recorded (slight ad libs or minor differences from the speaker not reading the script word-for-word while recording), there is one odd, substantive deviation regarding Common Core. The original script had: “Anaheim City School District teachers are prepared and focused on teaching new national standards designed to help students think deeply, apply their learnings successfully, and be well prepared prepare for a bright and promising future.” For whatever reason, Superintendent Wagner left this sentence from the script out when she recorded the call. The only other noticeable changes were the swapping of two of the last three paragraphs (including the one that originally contained the omitted sentence), the longer introduction, and Wagner’s increased use of the first person (we) instead of the script’s original third person (the Anaheim City School District). Wagner also corrected a few grammatical errors in the script. If they wish to do so, the law allows parents to sign petitions that cause one of several things to happen. The petition could cause your child’s school to become a charter school; it could force the closure of a school; and it could result in a complete change in the faculty and staff of the school. If you are truly interested in changing your school, including perhaps new teachers and staff, we do not want to discourage you from signing the petition. We would ask, however, that you read what you are signing and be careful about allowing aggressive petition gatherers to pressure you in to signing a document without all of the facts. The Anaheim City School District is proud of the well-rounded education we provide our students. Our programs integrating technology, engineering, robotics, mathematics and critical thinking are preparing our students for college and careers. 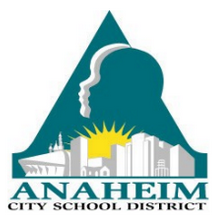 Anaheim City School District teachers are prepared and focused on teaching new national standards designed to help students think deeply, apply their learnings successfully, and be well prepared prepare for a bright and promising future. While we do not control the communications from either side on this issue, we remain committed to offering a clear and fact based presentation of all of the information to our parents, so that you can make the best decision for their child. An education revolution has been brewing in Orange County. We’re seeing massive change in Orange County thanks to charter schools, the Parent Trigger Law, and litigation against compulsory union dues by the California Teachers Association. I’m going to do a three-part series on this. Charter schools are a recognition that one-size-fits-all does not work for all students. There needs to be competition because some students need a different kind of school, just like there are many different types of colleges and universities. Despite Orange County’s conservatism, the education community has long known Orange County as an anti-charter school county. It’s not the voters who were anti-charter school. It was the school board members. At the time of the Grand Jury report, there were 11 charter schools in Orange County. Over the next six years, just three new charters were approved. Keep in mind there are 29 chartering authorities in Orange County: the Orange County Board of Education and the 28 local school districts. Here’s what the state of charter schools looked like in May 2014. This shows Orange County’s four neighboring counties, plus tiny Humboldt County. Then in June 2014, with assistance from the California Charter Schools Association, South County voters tossed the County Board of Education’s most virulent anti-charter school member, 32-year incumbent Liz Parker, who to the surprise of many, was a registered Republican. By a 57%-43% margin, the voters sent in Linda Lindholm to replace Parker. Things have changed significantly for charter schools in Orange County since Lindholm replaced Parker. We have overtaken Humboldt County. Local school districts got the message and approved two more charter schools in the latter half of 2014. In the first half of 2015, the Orange County Board of Education approved another two charter schools. Orange County has grown its charter schools to 19, still a bit behind Riverside and far behind San Bernardino, and way, way behind San Diego and Los Angeles Counties (even when adjusting for population). Trustee Ken Williams, elected in 1996, has a voting record generally supportive of charter schools. Trustee Robert Hammond, elected in 2012, has a voting record consistently supportive of charter schools. Between 2012-2014, Williams and Hammond often found themselves on the losing ends of 3-2 votes on charter school applications. Lindholm’s victory in unseating Liz Parker shifted the Board to a pro-charter school majority. To their credits, Trustees Jack Bedell and David Boyd, along with the Orange County Department of Education staff, recognized the sea change delivered by the voters. Staff reports for both Vista Heritage and CCPA have recommended approval of the charter schools. Bedell and Boyd joined a unanimous vote in favor of Vista Heritage’s application and are expected to join a unanimous vote for CCPA. The Orange Unified School District provisionally approved a charter school in May by a 5-2 vote. Unfortunately, due to absences, the OUSD Board’s vote on final approval was 3-2, one vote short of the necessary four votes. That charter school, Unity Middle College High School, has appealed to the County Board of Education with a vote expected in August. Considering OUSD’s rejection wasn’t a real rejection, and was more of a fluke, we should expect Orange County’s 20th charter school before the close of summer. In brief, the Judge found that the parents had complied with and substantially complied with all of the requirements of the law and that the Anaheim City School District and its Board of Trustees had neither complied with the letter nor the spirit of the law. Judge Banks ordered that the Board reverse its February 19, 2015 finding that the parents had not gathered enough signatures (he ruled they had) and their erroneous finding that Palm Lane Elementary was not a “subject school” that was eligible to be converted to a public charter school. What does this mean? First assuming the School District does not appeal (or that the Appeals Court rebuffs any such appeal), in the fall of 2016 Palm Lane Elementary will re-open under Charter School management rather than under the failed management of the Anaheim City School District, its Board of Trustees and their union partners. I should note at this juncture that Palm Lane Elementary has been on a “failing school” list for over TEN years. If the District had not denied the parents’ petitions on February 19th, Palm Lane would have opened as a public charter school this fall. But due to the District’s delays, including filing a lawsuit against the lead parents, the children of Palm Lane Elementary must live with another year of poor performance and mismanagement. A year of their education they can never get back. Space here does not allow me to go into details about the manner in which the District handled this affair (which is likely not over yet) but it is telling that Judge Banks stated in his ruling: “I find the rejection [of the petitions] to be procedurally unfair, unreasonable, arbitrary and capricious.” By rejection he was referring to the District’s February 19th decision. By this finding and statement the Judge was not just finding that the District was wrong but that their actions were anything but the “cooperative working with the parents” the Judge ruled the law required. In the Judge’s words: “Clearly, the Respondents [the District] did not meet their obligations of good faith cooperation with respect to this issue and as mandated by the Act. [the Parent Trigger Law].” [additions mine]. As one example the Judge noted that Dr. Linda Wagner, Anaheim City School District’s Superintendent, did not know even on the day she testified in Court who the lead Petitioners were (i.e. the Lead Parents who submitted the Petitions to convert Palm Lane to a public charter school). He also noted that the author of the Parent Trigger Law, former State Senator Gloria Romero, issued a letter to the District offering to assist the District in coordinating with the lead Parents who Sen. Romero was working with, and the District NEVER RESPONDED TO THAT LETTER. Since Dr. Wagner authorized the District’s attorney to file a lawsuit against those very parents (who they specifically named in the lawsuit) a couple of months prior to the trial, in my opinion either she was willfully ignorant or incredibly disingenuous. It is said that elections have consequences. I hope this trial court ruling has election consequences to the Board of Trustees of the Anaheim City School District. The parents and children of that District deserve better! Kudos to the legal team of Kirkland & Ellis who represented the parents and Gloria Romero’s organization in the lawsuits, to the California Policy Center, Inc., Arturo Garcia, the lead parents and their supporters and a lot of others I do not have space here to list who also supported the parents. Mega Kudos to Senator Gloria Romero for her unwavering support of the parents both in being the Parent Trigger Law author but even after leaving the legislature, helping the very people she wrote the law for! Note: I call the charter school a “public charter school” because a charter school is still a public school, just one that is not dominated by public employee unions.